*** COMPANION APP - NursePort for parents/guardians works only as a companion for the NursePass app. Download only if you have a secure code shared with you by your student's teacher, coach, or nurse. 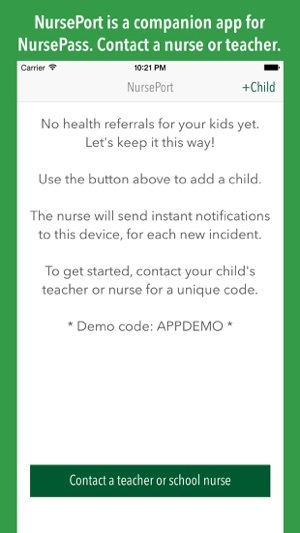 Otherwise, suggest your child's school or academy to use NursePass app (sold separately on the App Store) to digitize the communication from classroom teacher to the school nurse, and further to parents/guardians, who will all receive custom instant notifications about your student's wellness status. NursePort provides peace of mind for parents of children at Pre-K or K-12 schools and academies. It is also used for patients of any kind, along with the NursePass app (daycare centers, camp counselors, interscholastic athletic trainers, events for children, higher education campuses etc). • Instant push notifications about student's wellness status, sent from school nurse and teacher(s) to this NursePort app on your iPhone. Companion app, NursePass, is used by teachers, coaches and nurses at school, sport practice or other groups providing care and supervision. 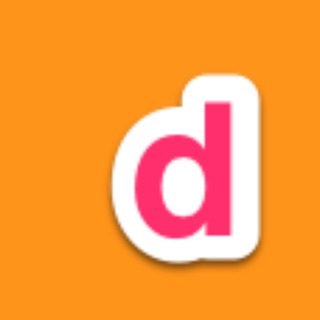 • A paperless, digital referral process from student’s teacher to school nurse and in the end to the parent. • Keeps the parent/guardian informed right after the student receives treatment for minor incidents at the nurse’s office. • Once the child receives treatment, teachers (via NursePass) and parents or guardians (via NursePort), are instantly notified of the child's status. • Keeps track of your child's health referrals for future reference in case they need to be communicated or presented to the pediatrician, family doctor or specialist. 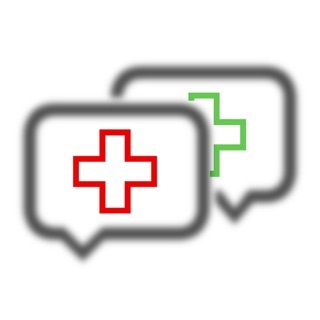 • Soon: Medicine administration and condition monitoring tracker. • NursePort is FERPA-compliant and we protect your child's private data. For assistance, please visit www.helpthenurse.com. 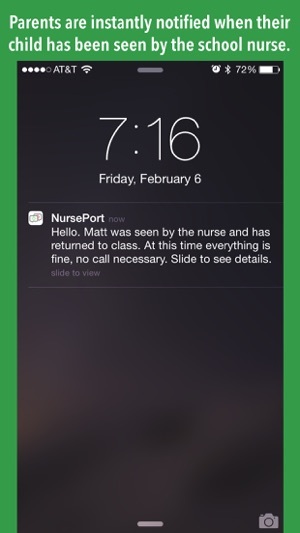 *** NursePort requires NursePass app to function. 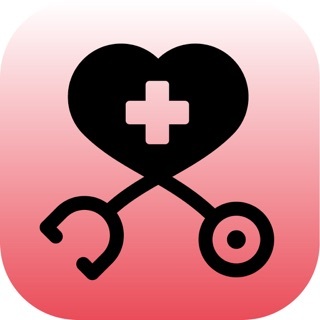 NursePass app for iPhone, iPod Touch, and iPad is designed for school nurses and teachers. 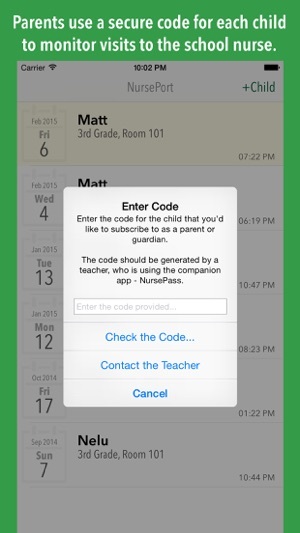 It can be used right away by teachers to create classrooms of students to send health referrals to the nurse. The nurse will then receive the referral from the app to check the student in and record treatment and dispositions. 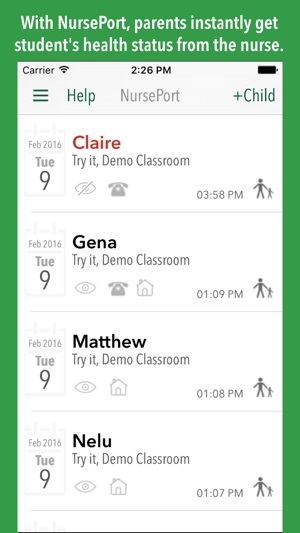 Everyone in the process is kept informed via instant push notifications within NursePass to the teacher, and NursePort to the parents/guardian. The data collected on your device can be used to keep health records in the school's main health database.